This theme was posted by PS3 Themes on November 19, 2016 at 3:17 pm, and is filed under Movies/TV. 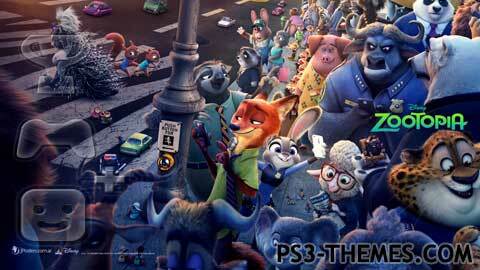 someone finally did a theme for Zootopia. about time. Thank You. i haven’t been back on here for more then a year or so. I’m glad to have came back with new themes on here.